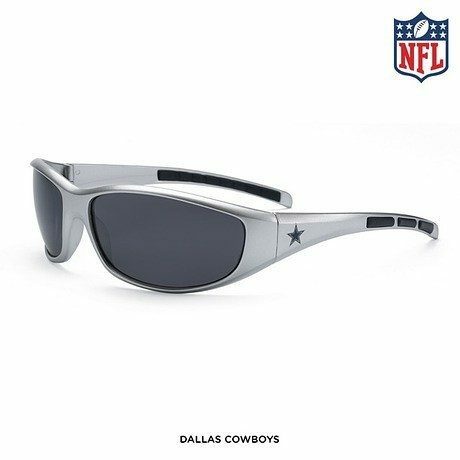 NFL Unisex Officially Licensed Sports Wrap Sunglasses - Assorted Styles Only $13 Shipped! You are here: Home / Great Deals / NFL Unisex Officially Licensed Sports Wrap Sunglasses – Assorted Styles Only $13 Shipped! NFL Unisex Officially Licensed Sports Wrap Sunglasses – Assorted Styles Only $13 Shipped! There’s no question that you love your home football team. So why not add these NFL Sports Wrap Sunglasses to your gear? These NFL Unisex Officially Licensed Sports Wrap Sunglasses in Assorted Styles Only $13 Shipped are engineered with a no-slip rubber nose piece and arm grips!